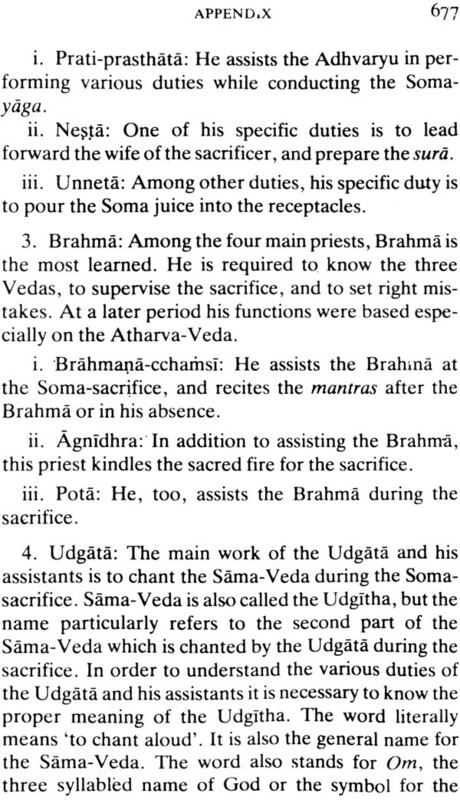 The Chandogya Upanisad forms a part of the Brahmana of the Talavakara section of the SamaVeda. 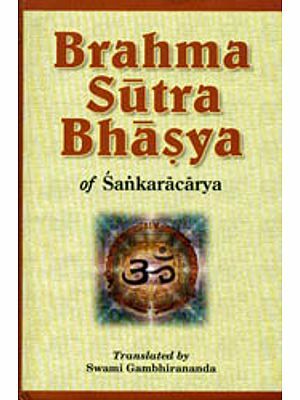 We present to the readers a translation of the text and the Commentary of Sri Sankaracarya, with notes of Ananda Gin added wherever found necessary. 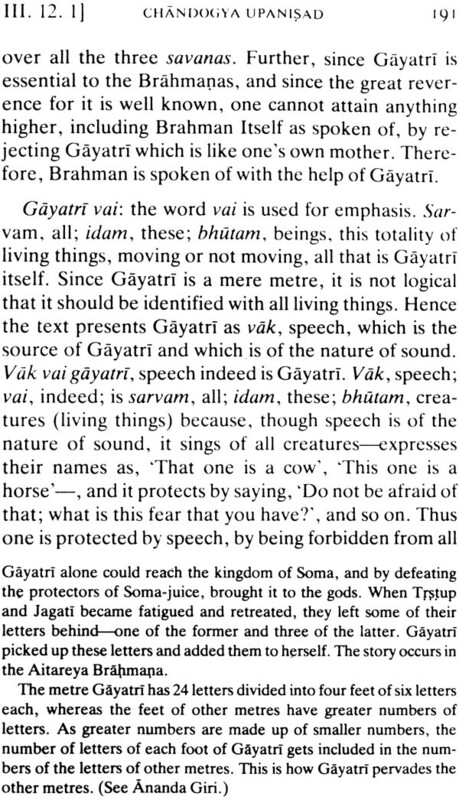 For the text and commentary we have generally depended on the publication of Gita Press, Gorakhpur, but some other publications have also been consulted. 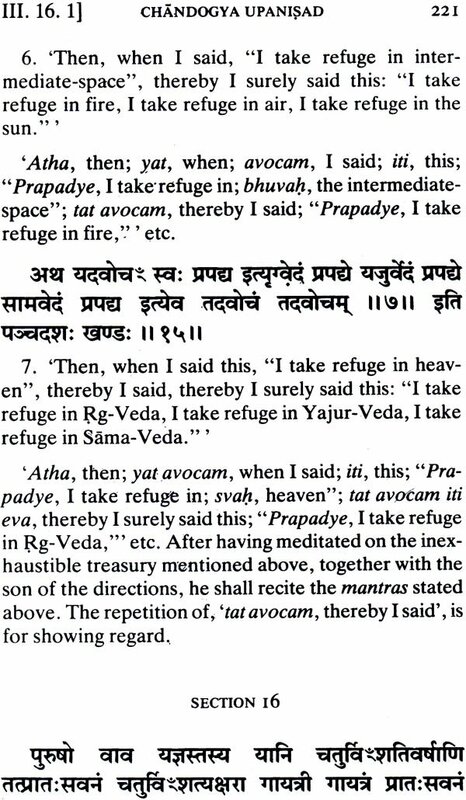 The translator is thankful to Swamis Sumedhananda and Atmaramananda, as also to the Advaita Ashrama, for the invaluable help rendered by them, without which this difficult task would not have been possible. 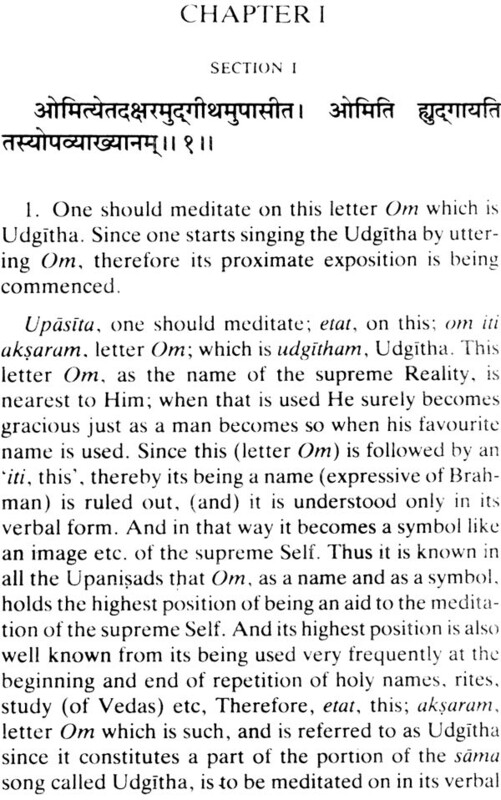 The major portion of this Upanisad consists of upasanãs, the import of which is a little difficult to understand, Therefore, the translator’s article under the heading ‘Upanisadic Meditation’ contributed to The Cultural Heritage of India, Vol. I, with some important discussions on updsana incorporated into it, is included below with the permission of the authorities of the Ramakrishna Mission Institute of Culture, Calcutta. 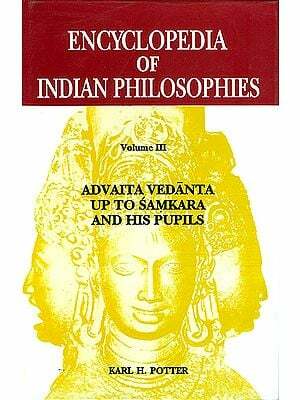 It is hoped that this will facilitate easier understanding of the antiquated process of preparing the mind to enter into the abstruse philosophy of the Upanisads. 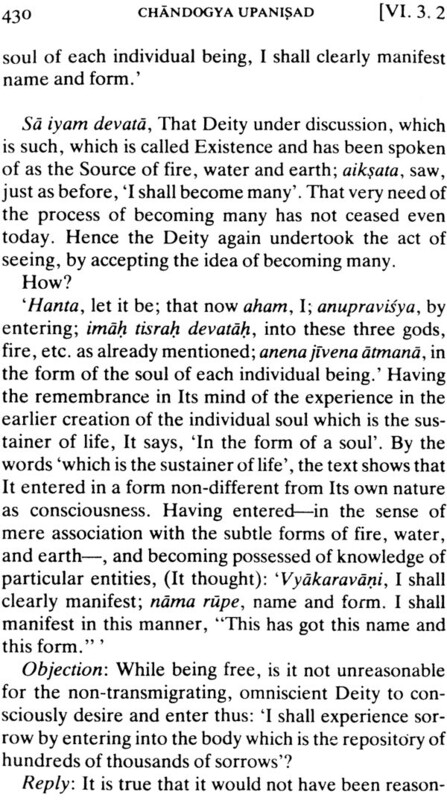 Upasana, which is here roughly translated as Upaniadic meditation aimed in part at engendering higher mental attitudes with regard to the daily avocations social contacts and religious pre-occupations. 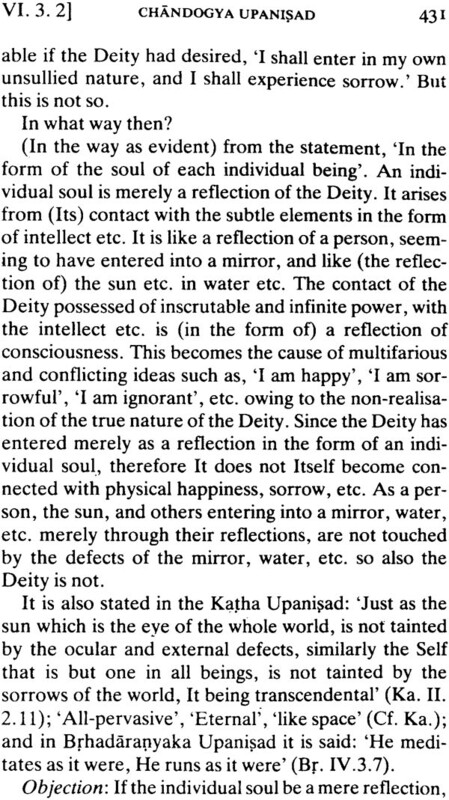 This path of inner transformation in the midst of outward conformity was worked out in all its philosophical bearings and practical details by men of action among whom were some Upanisadic king saints who were conscious of the efficacy of the path as well as their monopoly of this. 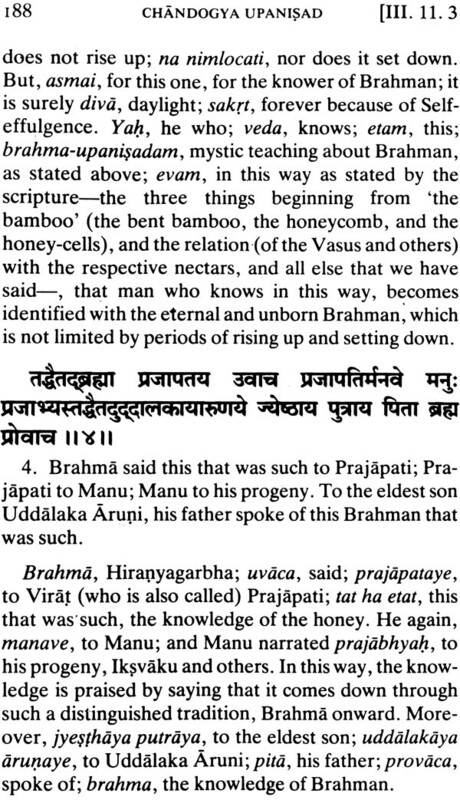 In the Brhadarnyaka Upanisad King Pravathana Jaivali says to the Brahmana Gautama Before this knowledge did not reside in any Brahmana in the chandogya too the same king says to Brahmana and hence in all the worlds the Ksatriyas had their supremacy. To out forebears no philosophy had any claim to recognition unless it had some bearing on life. 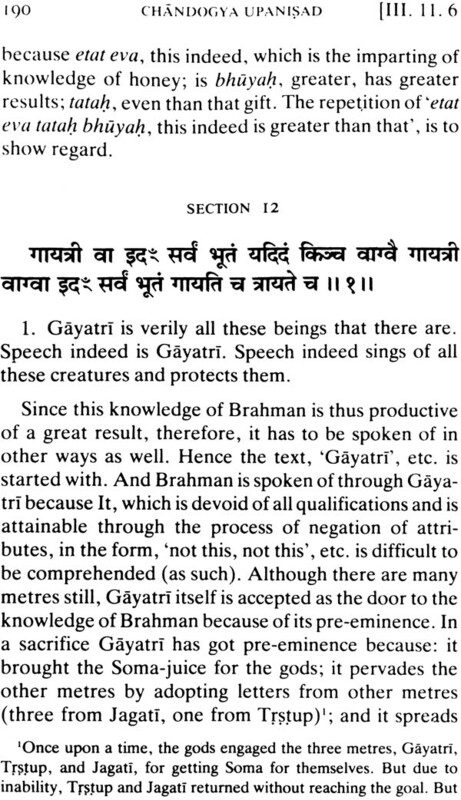 To illustrate the point let us cite some concrete examples from the Upanisadic texts. 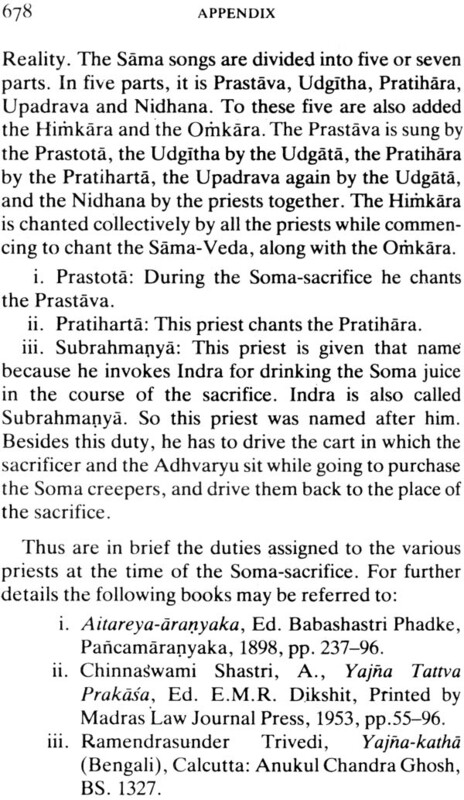 The chanting of the Vedas was the daily duty of the students of those days. But lest it should degenerate into a mechanical process the students were encouraged to add a little reflection in the form of upasana to this routine work. 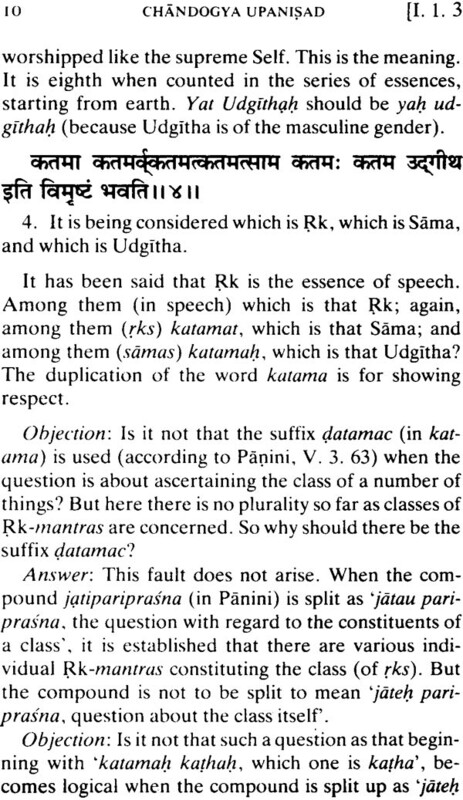 the Chandogya says one should reflect on the sama with which one would eulogize on the Rk on which the sama rests on the seer who saw the Rk verses and one should reflect on the deity which one would eulogize. 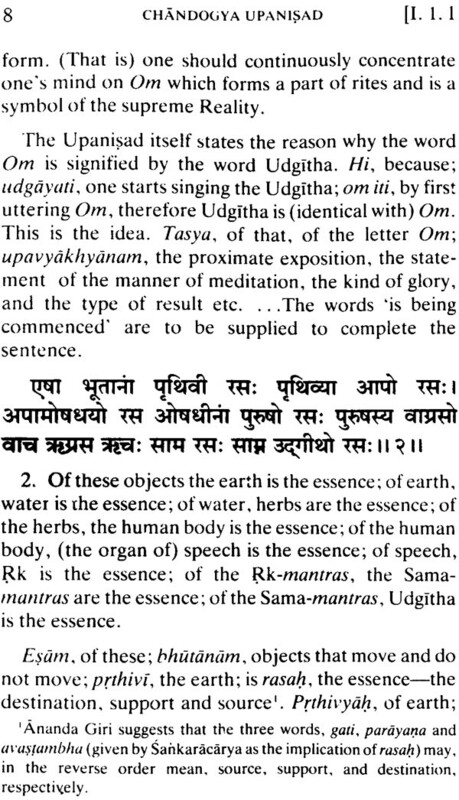 In the Tatitrriya we read of the samhita upanisad or the meditation based on use conjunction of letters where the idea is to lead the pupil’s mind from the mere composition of the words to the universal fact of four factors involved in all conjunctions, viz the two component parts of a pair their actual association and the resulting whole. Take another and a more sublime meditation the well known pancagni vidya the whole world sentient and insentient is here though of as a group of factors in a cosmic sacrifice involving five successive fires arranged in the order of their subtleness and they are all knit together through a spirit of self sacrifice so that a new creation may emerge new life may come into existence at every stage. Thus faith is poured as an oblation in heaven which is the highest of the fires and as a consequence the lunar world the world of manes comes into existence. The moon is then poured as an oblation in the second fire viz the rain god and so rain pours on earth which is the third fire. 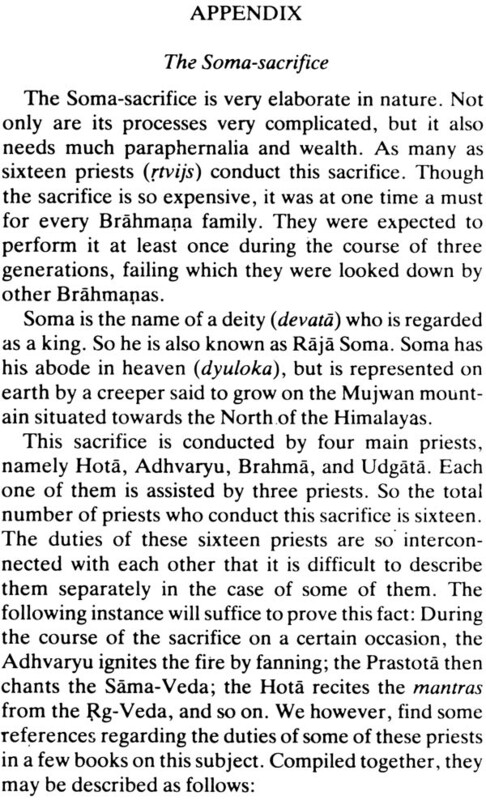 From this sacrifice grows food which is offered to man who is considered as the fourth fire from whom comes the seed. The fifth fire is the wife. The most familiar emergence of life is witnessed at child birth. The ancients were bold enough to look on all things and processes from a higher intellectual and spiritual plane. To their spiritual vision the father the mother and the gods who presided over the organs were all agents in a sacrifice bringing new life into existence. 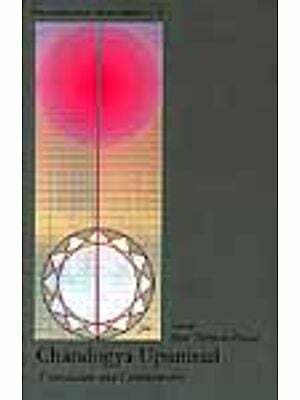 As the cosmic counterpart of this outlook on conjugal relationship, we are asked to think of the other world, i.e. heaven, as fire, the sun as its fuel, the rays as the smoke of that fire, day as the light of the fire, the directions as charcoal; or of the cloud-god as fire, the year as its fuel, the clouds as smoke, lightning as light, thunder as charcoal; and so on and so forth. 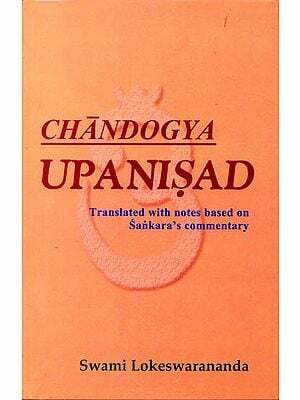 One of the grandest conceptions of life as a sacrifice is to be found in the Chandogya (111.16—17), which by the way, is the richest storehouse of Upaniadic meditation. 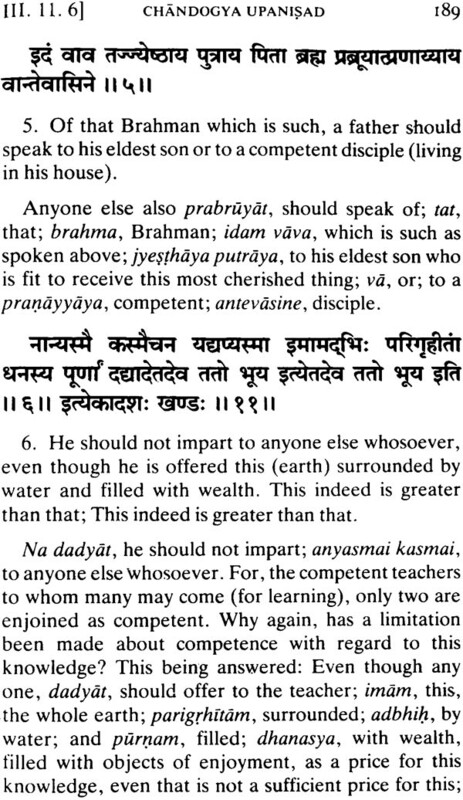 This Upaniad says, ‘Man himself is a sacrifice’, and shows in detail how this can he so. 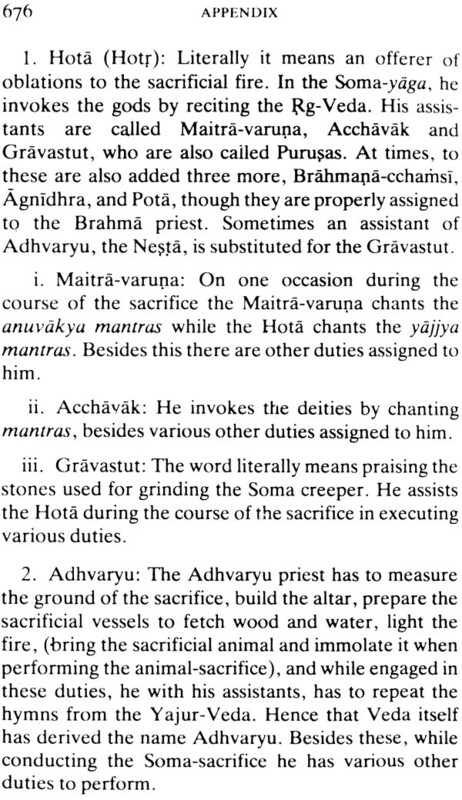 Man’s life, divided into three stages, is compared to the three periods in a sacrifice called savanas. 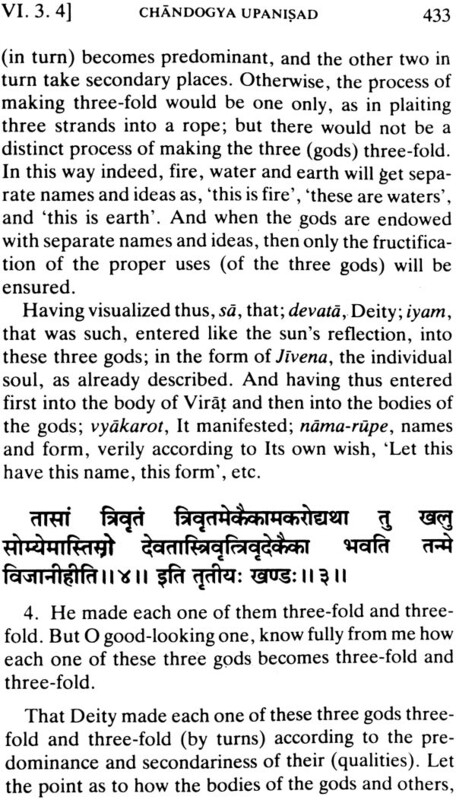 Each period is given to its proper deities. The first stage is presided over by the Vasus, who work for life’s stability, for life requires the utmost attention during this period. They are succeeded in youth by the Rudras, the energetic gods, who are often cruel. Consequently, a man must be extremely judicious in what he does in his youth. Old age is presided over by the Adityas who attract everything towards them. Men, then attracted by the higher forces, prepare for the final departure after making their best contribution to the world. 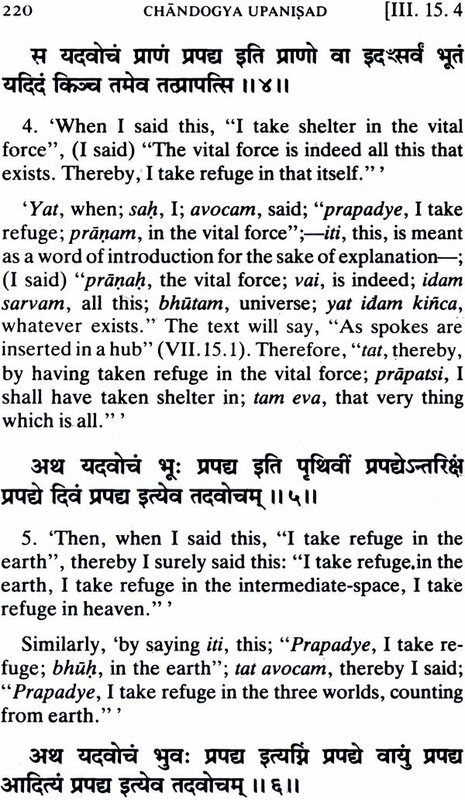 In this connection, we are also asked to look on distress caused by hunger and thirst as dilsca (initiation) into a higher life of struggle and achievement; on charity, non-killing, truth, etc. as dakciza (offerings to the performers of our sacrifice, i.e. to our good neighbors); on merriment and laughter as hymns and songs to the gods; and on death as the bath after the sacrifice is completed. There are many other practical hints for transforming life into a spiritual discipline. 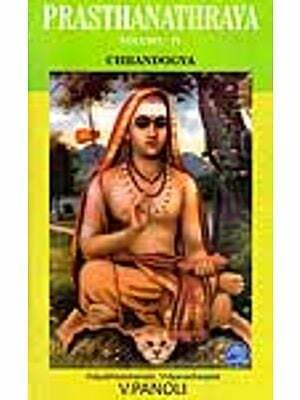 The Brhadaranyaka instructs us to look on death and disease as tapasya. This indeed is excellent austerity that a man suffers when he is ill. This indeed is excellent austerity that a man after death is carried to the forest. 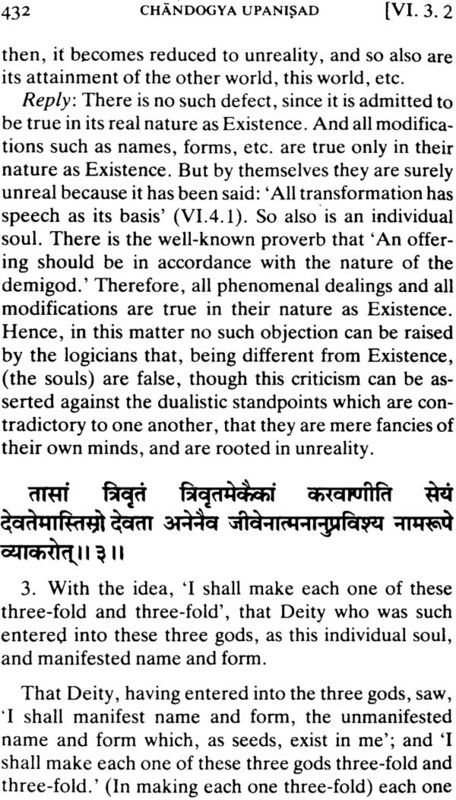 This indeed is excellent tapasya that a man after death is placed on the fire.